Feel the difference a premium heavyweight underlay can make beneath your feet with Inspiration. 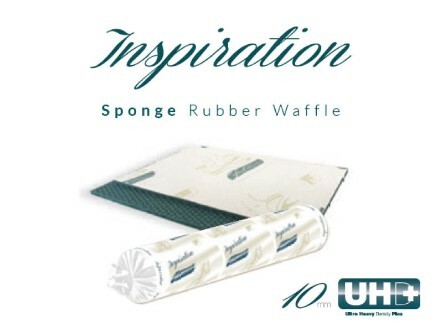 Made from dense 10mm rubber sponge for long proven performance, with Inspiration you’re walking on pockets of air; comfort in an underlay that makes your carpet feel richer, thicker and more luxurious. Giving the very best cloud-like comfort, Inspiration makes sense when quality is the priority; a premium density sponge that bounces back time-after-time.